After the Second Omnibus Regulatory Reform Amendment Act of 1998 took effect on April 20, 1999, the District of Columbia Board of Professional Engineering (Board) was formed. The Board is responsible for regulating the licenses and practice of professional engineers and land surveyors. The Board protects the public by maintaining the District of Columbia (DC) Professional Engineers Municipal Regulations. 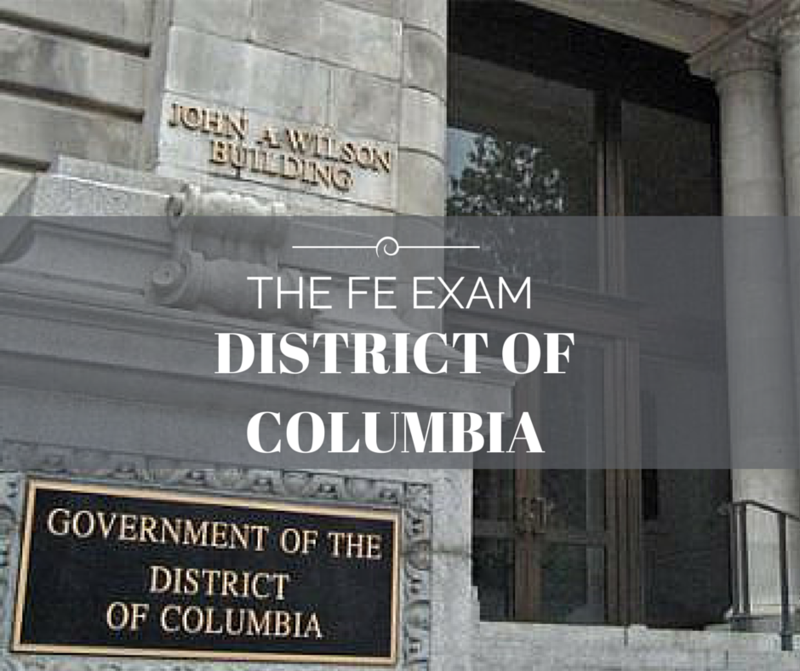 The District of Columbia Board of Professional Engineering (Board) will have all the information for the FE Exam Study Materials, FE Exam Dates, FE Exam Costs, and locations for local FE Exam Reviews. When can I take the Engineer in Training exam? Not Specified, see website for details. Are there any programs equivalent to EAC/ABET accepted for taking the Engineer in Training exam? Not Specified, see website for details. Have further questions? Check the Frequently Asked Questions or visit www.pearsonvue.com/dc/engineers to get the most up to date information.